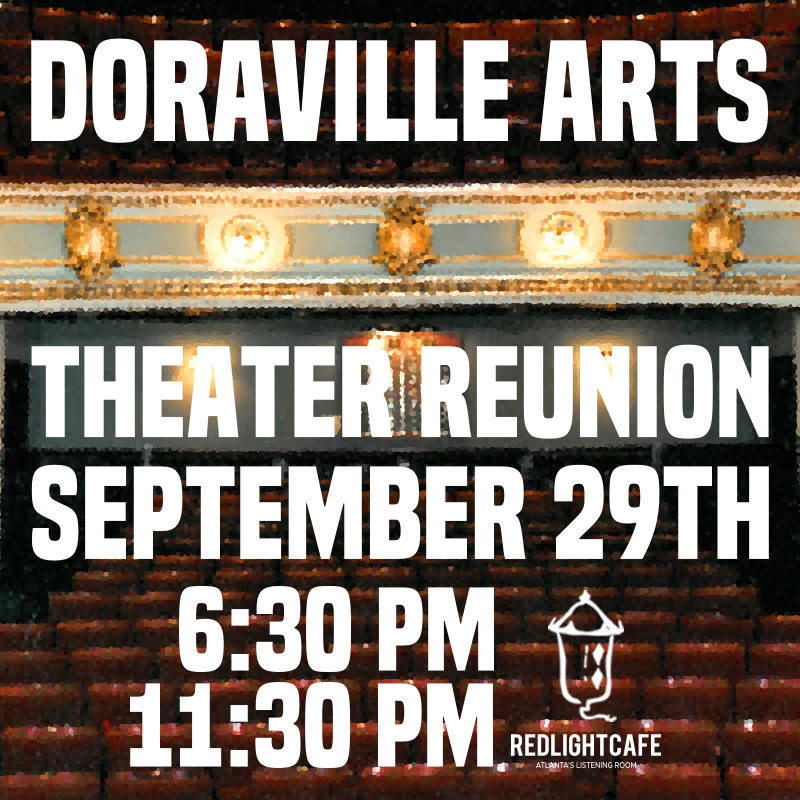 Come celebrate the years we spent on stage with the Doraville Arts Theatre with Jim Ray-James. If you have videos of performances and are willing to bring them please let Nancy know via email at nancy_a_sings@yahoo.com. We will have a table set up for pictures, programs, and other memorabilia if you would like to bring your items to share. For those that are needing a hotel, The Highland Inn is a 5 min Uber ride to Red Light Cafe and was recommended by Ellen (former DAT member and owner of the Red Light Cafe).